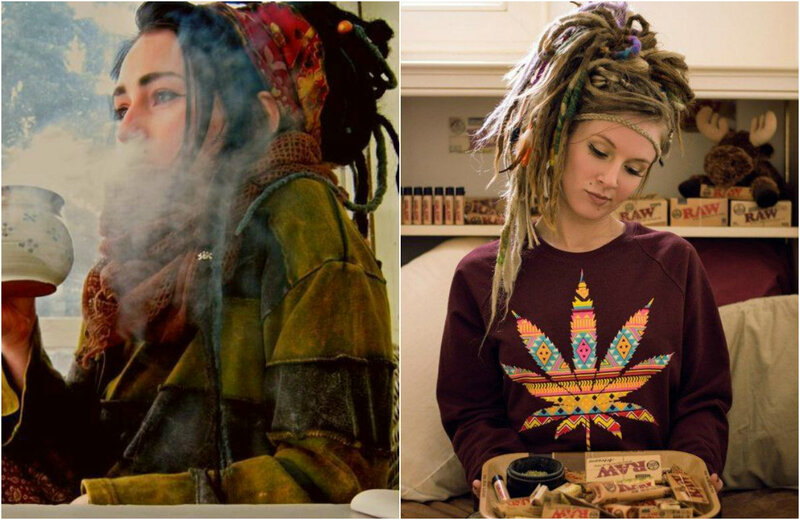 Female dreads are non-formal hair looks. They simply reflect what you have inside, your inside emotions, your life vision. 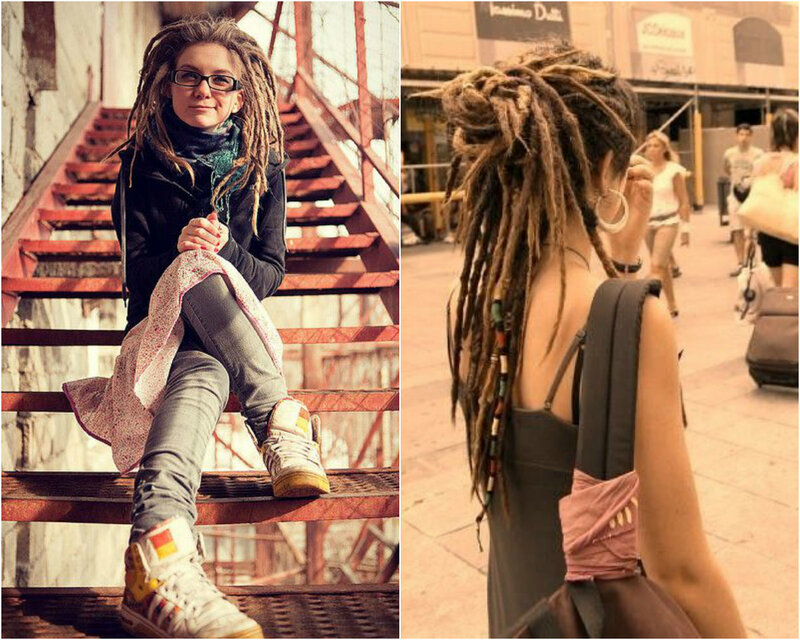 It means only one thing, you have to feel like wearing dreads, not just try them for a couple of days. Before you get inspired and rush to the nearest hair salon to get the look, there are few things your should bear in mind. First of all, dreadlocks need care. 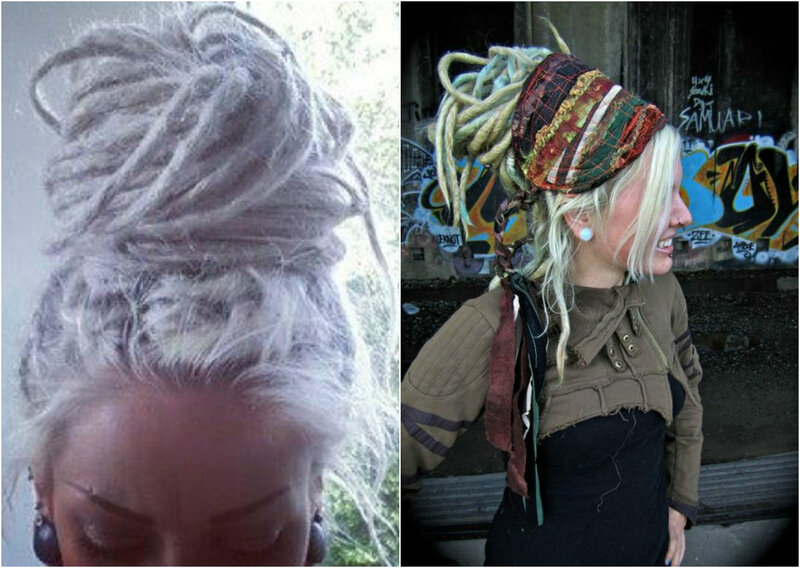 th widely spread myth that dreads last long and require no care is absolute lie. 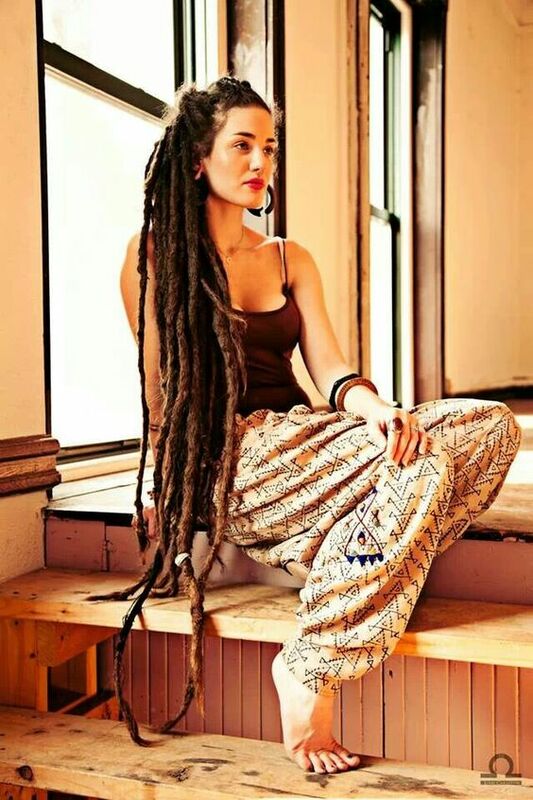 Your locs will need daily care like oiling roots, cause dreadlocks are heavy and strain the scalp. Besides, you will need to wash them. Twice a week as a rule. Apparently, the locs won't decrease your hair care routine, instead it will provide you with impeccable looks. 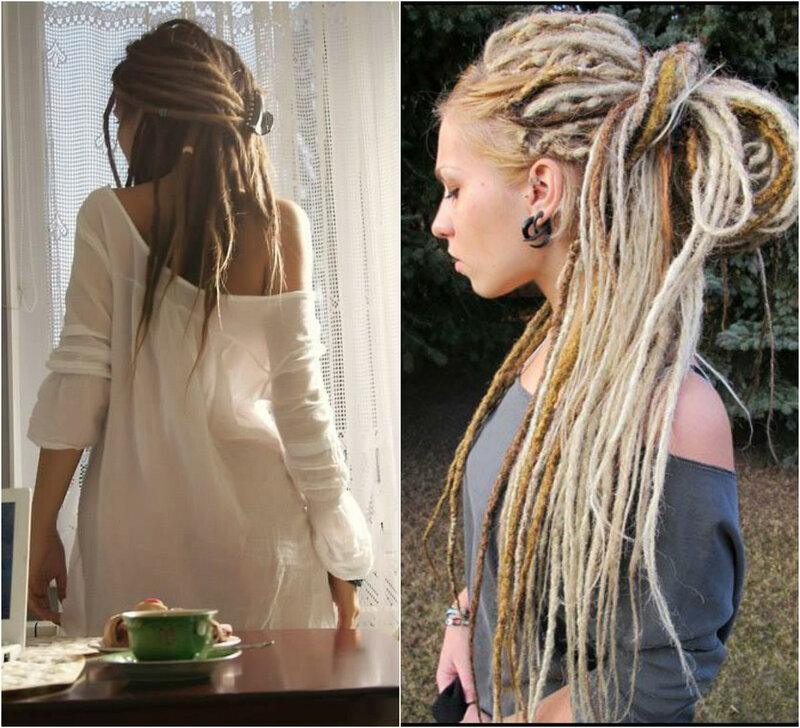 For ladies with natural fair hair color, the blonde strands of dreads will be the perfect choice. They look soft. This is true about any blondie. 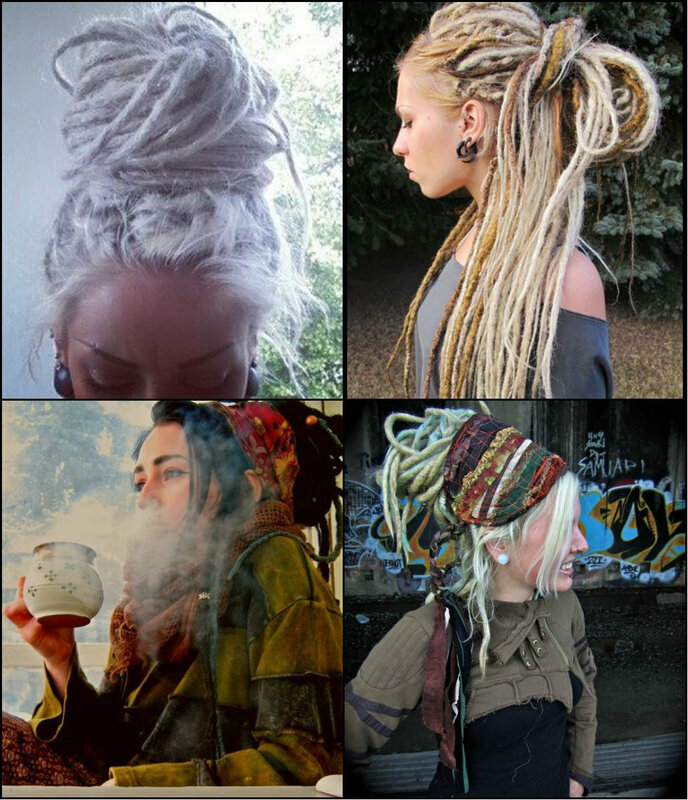 Female dreadlocks hairstyles make no exclusion. Of course, it is not about one pure color. You can always add mint green and lime yellow strands for more impressive looks. Actually, this is one of the greatest benefits of locs - adding various colored strands and highlights. You are always free to toy with tones and shades. 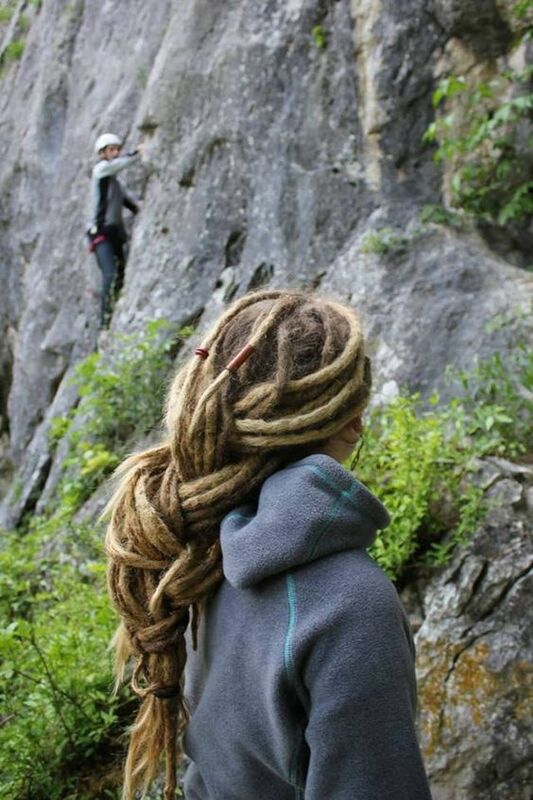 As far as you could guess, dreads can be of all possible colors. But best if all is to correlate them with your base color. 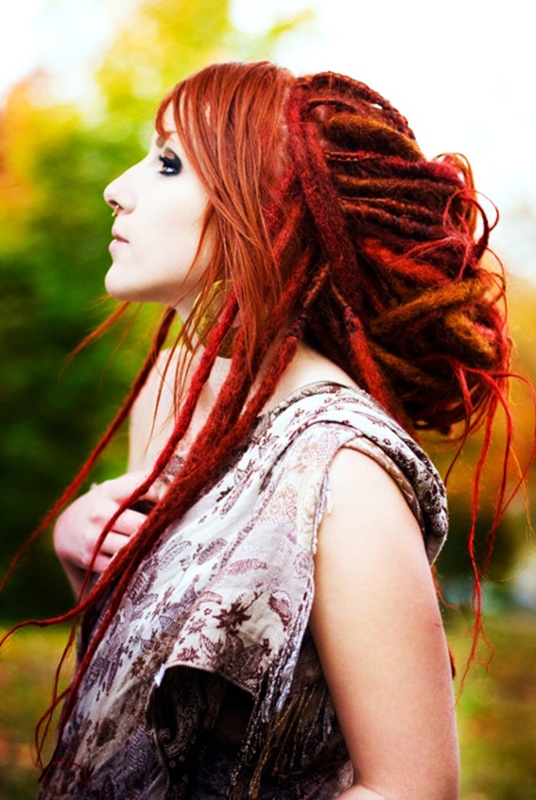 For example, the above red headed woman looks prefect with dreads of almost the same shade.